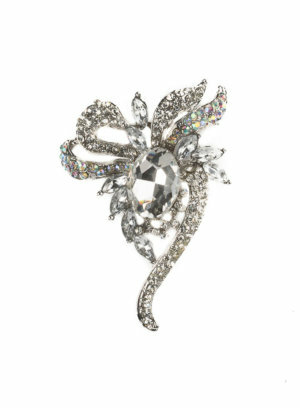 Decorated with crystals in different sizes, Destiny brooch has the charm of a vintage heirloom which reflects its belief that "glamour is all year round". 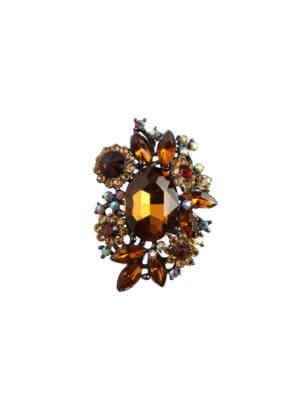 The Destiny Brooch can be used as an accent to any formal or dressy outfit. 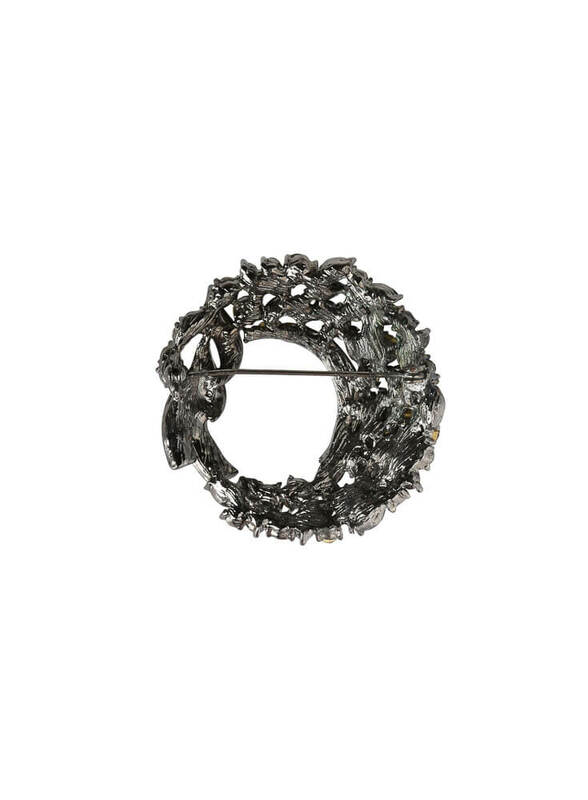 Material: Brass and Czech Crystals Plating: Rhodium Colour ANK's brooches are lead and nickel compliant. 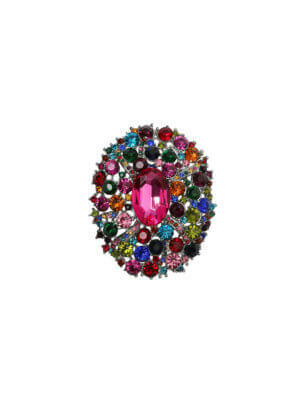 Measurement Height: 6.1cm Width: 4.5cm Be Bold, Sensual and Confident in an ANK's Brooch. 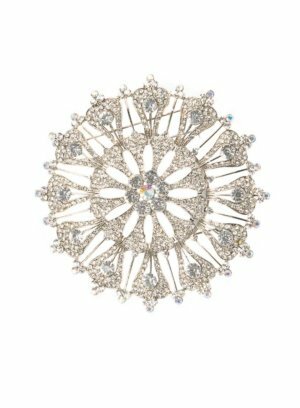 This crystal encrusted brooch is uniquely designed to resemble the beauty of an Empress. 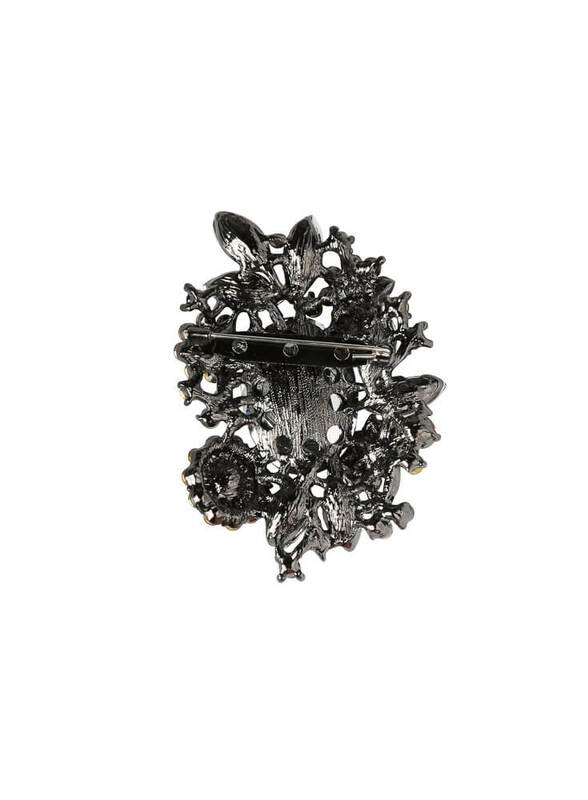 The Empress Brooch is a majestic and stately piece that will stand out from the crowd. 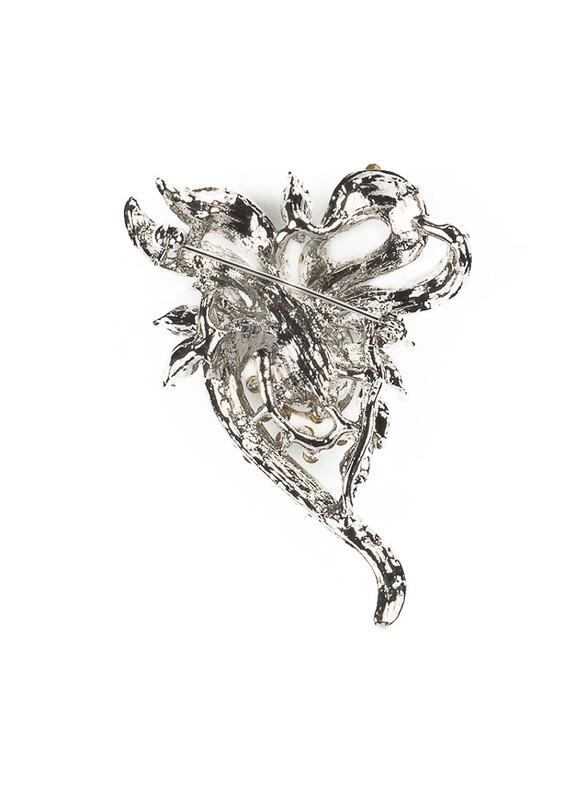 Material: Brass and Czech Crystals Plating: Rhodium ANK's brooches are lead and nickel compliant. Measurement Height: 13cm weight: 13.5cm Be Bold, Sensual and Confident in an ANK's Brooch. 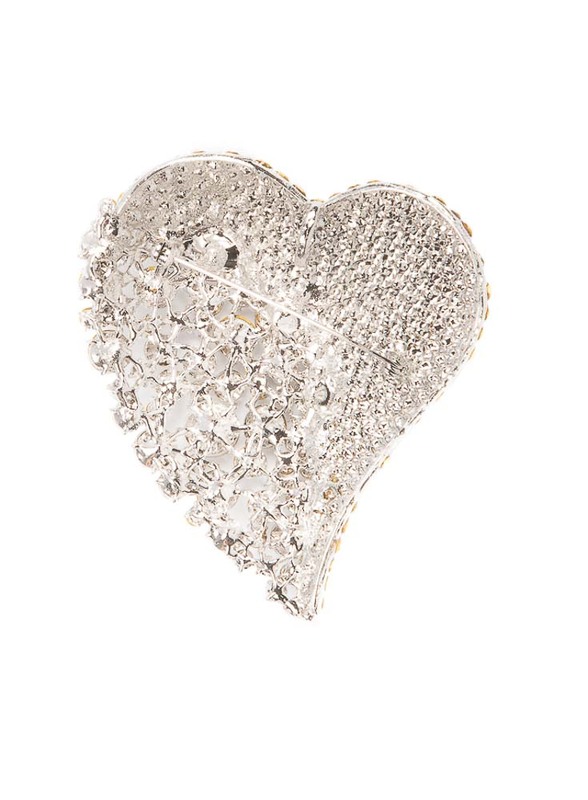 This crystal encrusted heart shaped brooch sparkles and glistens. It is difficult to capture the brilliance of the crystals in this image. This Heart brooch symoolizes purity and innocence. 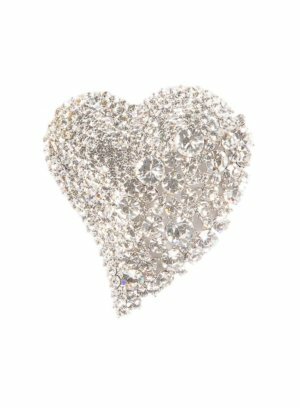 The Sparkling Heart Brooch can be used as an accent to any formal or dressy outfit. 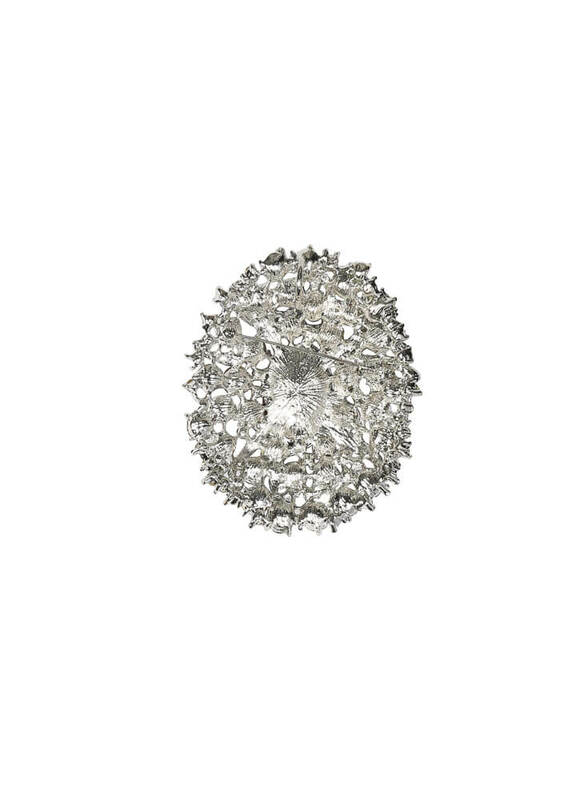 Material: Brass and Cubic Zirconia Plating: Rhodium ANK's brooches are lead and nickel compliant. 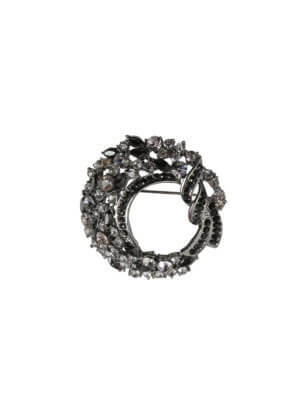 Measurement Height: 9.1cm Width: 7.8cm Be Bold, Sensual and Confident in an ANK's Brooch.